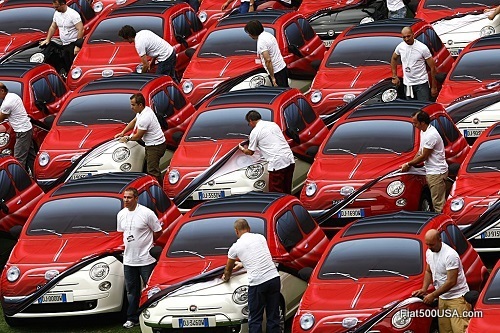 Fiat 500 - Born on the Fourth of July! The Nuova Fiat 500 was launched in 1957 and brought affordable transportation to a nation that was still struggling to recover from the devastation of war. More than just transportation though, the happy and cheerful Fiat 500 had a bright personality that conveyed a joy of living that is typically an Italian way of looking at life. Fifty years later, this personality was captured with the new Fiat 500 we enjoy today. Take a look back at the spectacular launch of this modern icon with these videos from July 4, 2007. Win a Fiat 500 with McDonald's MONOPOLY Game! 2013 Fiat FreakOut Kicking Off!